Cut the ewe’s milk cheese into cubes.Peel the melon and cut the flesh into small cubes. Cut the Bayonne Ham slices into fine pieces. For the dressing, pour the lemon juice into a bowl, season to taste and stir well. Add the olive oil, mix vigorously to get a good emulsion and incorporate the thyme. 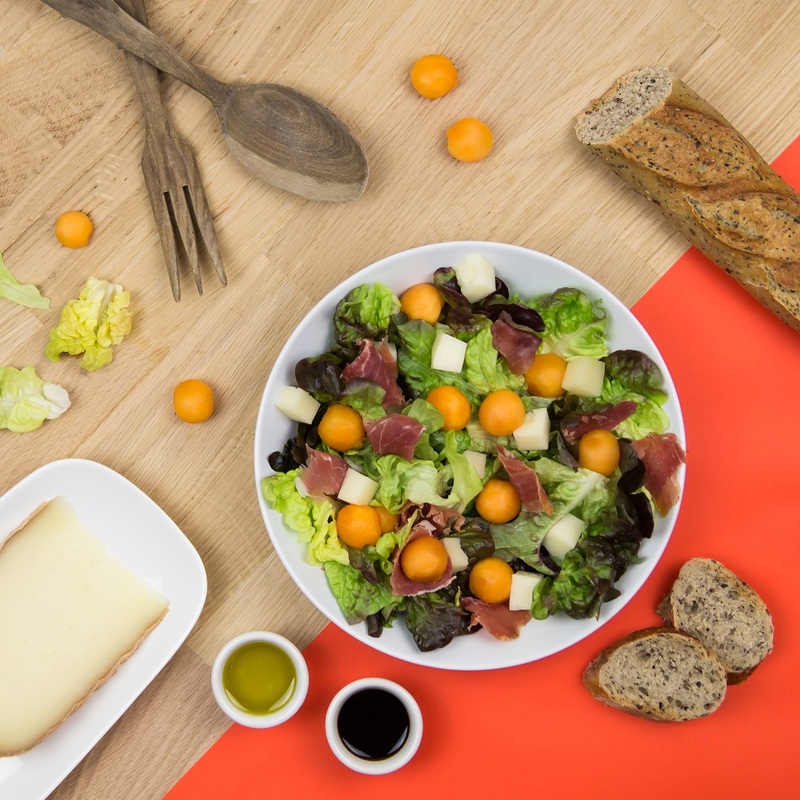 Put the lettuce, melon, Bayonne Ham, cubes of ewe’s milk cheese and the vinaigrette into a salad bowl, then stir just before serving.